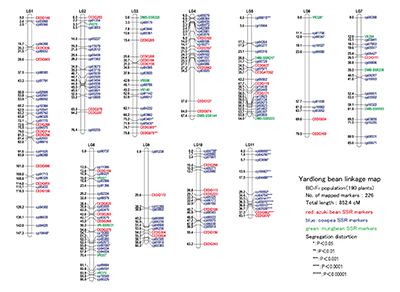 Construction of a genetic linkage map and genetic analysis of domestication related traits in mungbean [Vigna radiata]. 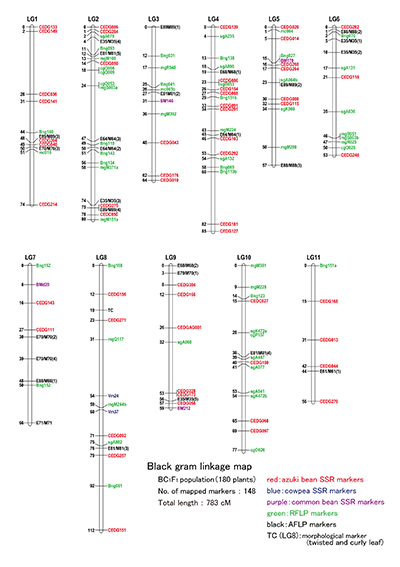 Genetic diversity of the rice bean [Vigna umbellata] genepool as assessed by SSR markers. 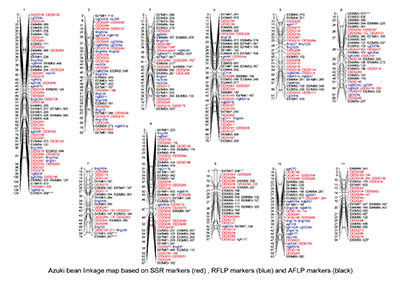 An SSR-based linkage map of yardlong bean [Vigna unguiculata (L.) Walp. subsp. unguiculata Sesquipedalis Group] and QTL analysis of pod length. 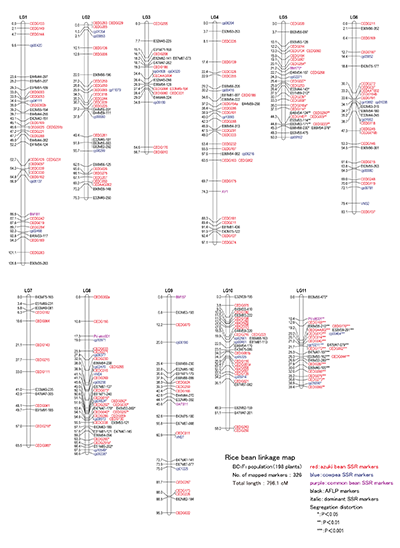 A genetic linkage map for azuki bean [Vigna angularis (Willd.) Ohwi & Ohashi]. Development of a black gram [Vigna mungo (L.) Hepper] linkage map and its comparison with an azuki bean [Vigna angularis (Willd.) 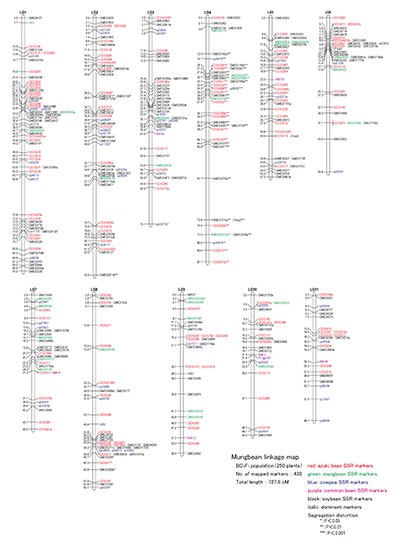 Ohwi and Ohashi] linkage map.